Texas Basketball is going international again – this time for an exhibition tour. Shaka Smart’s Texas Basketball team is planning a trip to Australia this year for a series of summer exhibition games, reports the Austin American-Statesman. Texas will travel across Australia for nearly two weeks from August 12-23. The plan is to build team chemistry, which Shaka Smart talked about in Monday’s press conference, and help develop next year’s basketball team. The NCAA reportedly allows teams to take an international exhibition trip every four years. Coach Smart felt this was good timing. Looking ahead to next year’s squad, it certainly looks like a good idea with incoming PG Matt Coleman able to practice and play with the team. Shaka Smart has watched this year’s Texas Basketball team struggle to come together as a team, especially away from Austin. With such a young nucleus and incoming players like Matt Coleman, the international trip is an opportunity to accelerate the rebuilding process. 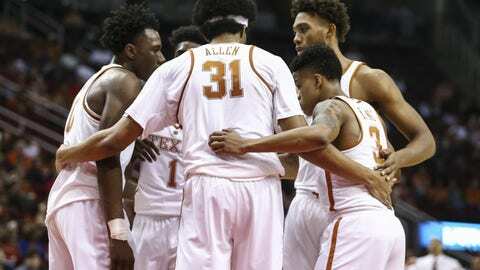 Texas should be a National Title contender in two years when the current Longhorns are juniors and seniors. And, if Matt Coleman plays at least two years in Austin. The trip to Australia should produce a lot of positive results. At least, better results than when Shaka Smart started his Texas Basketball run with a live game in China. That was a tough trip when Texas lost to Washington to start the 2015 season. But, at least it did not count against the NCAA’s four-year rule because it counted as a real game. Coach Smart certainly hopes for a better outcome this summer when Texas Basketball visits Australia to get some much-needed experience.